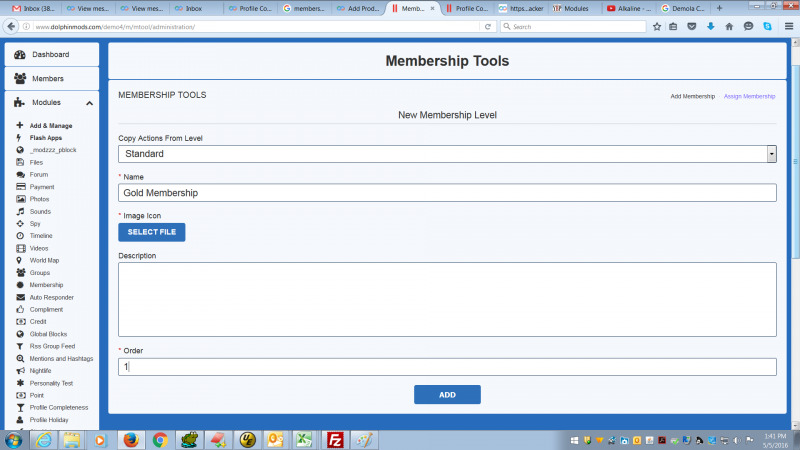 This Membership Tools module allows administrator to Manipulate the Membership feature in ways not possible in default Dolphin. There is currently no functionality in Dolphin to create a new membership from a copy of an existing one. 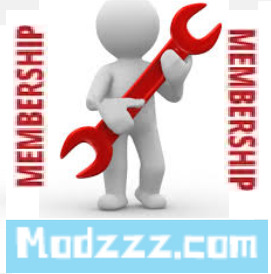 This module allows you to create a membership with the same default action settings as an existing membership and then you can make your adjustments. 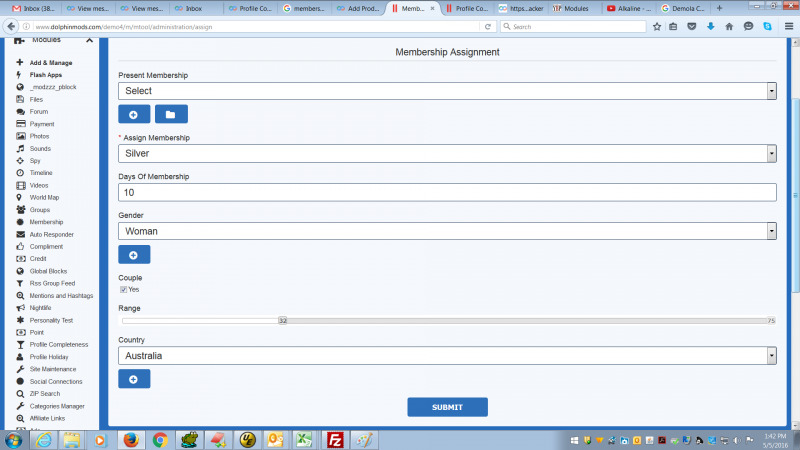 This copy membership functionality creates a new membership using an existing one as a template to copy from. When the Administrator is creating a new Membership level, they can specify what membership level the actions should be copied from. Administrators no longer will need to spend a lot of time trying to manually copy all the settings from another membership level. It is possible to give bonus days to a group of members with a particular membership level. how do you install it. I purchased it. The module has a readme.txt file with installation instructions. I also offer installation service. Please use the support forum for the module for further questions as this section is really for Reviews.